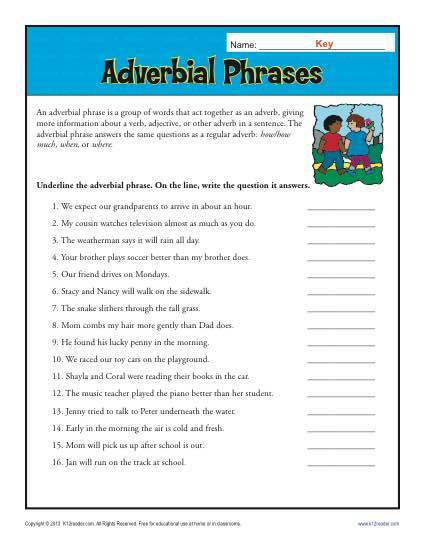 This worksheet focuses on adverbial phrases, those groups of words that act as an adverb. Your student will underline the phrase in each sentence and tell the way it modifies: how, when or where. Useful for 9th and 10th grade Common Core Standards for Language, it may be also be appropriate for other grades.